I really enjoyed my interview by Anrina who runs a lifestyle blog at www.rxpayne.com. Check out the questions she asked me as I found my way through this minimalist journey. Part 2 - read here! See the original interview at Rx Payne here. Referral: Prescription-Interview w/ Aylin Marie stat to achieve max. clarity. RxPayne: Aylin, what exactly is a minimalist? AM: Being happy with less. RxPayne: So, what motivated you to transition into this lifestyle? 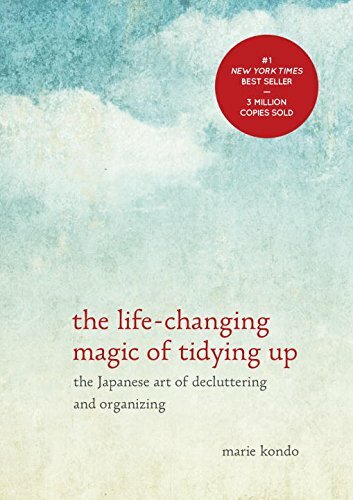 AM: I realized anytime I became stressed or overwhelmed, cleaning my apartment made me feel more relaxed. It then dawned on me my living situation was always a reflection of how I felt when I was home. If it was cluttered or messy, I felt “cluttered” mentally. 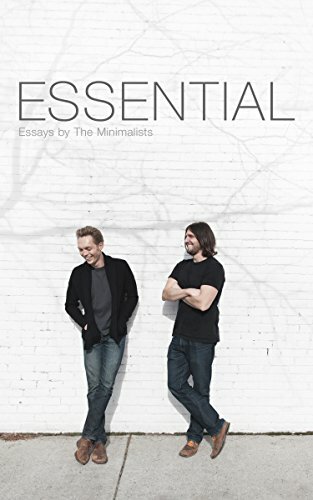 One day, I stumbled upon www.theminimalists.com and read through their 21-day journey into minimalism. In this moment I became inspired. And with each day during that journey, I started to throw out bags worth of clothes, household goods, and appliances. Things I haven’t touched in the last year. So why did I still have it? Minimizing my home meant less time cleaning and more time having a clutter-free home. That day I had my own “packing party” and put up things I didn’t think I would need in the next two weeks. And after a month, when I found myself NOT digging through my bags for that dress I packed away, I donated it or sold it. If I didn’t miss it – there was no point in keeping it. RxPayne: What was the biggest change you made to your life when you became a minimalist? AM: I’m a very sentimental person. There are things I keep only because it was given to me. My mom’s scarf. A bag that was given to me as a gift from a close friend. And I kept those things there because it meant something. Even if I didn’t use it. But why? This was the biggest challenge for me as I was going through the 21-day process. But what The Minimalists made me realize was the only pure thing you can really take with you are memories. Objects don’t carry value. It’s the relationships. The experiences you have. Those are the true “things” that add value. RxPayne: I have to know what your space looks like, your bedroom; where you relax; please paint me a picture? AM: I like white, grey, wood and light earth tone colors. My bedroom has a dresser which is dark cherry wood. It has one candle and a mason jar with a dried pink rose sitting on top. My bed frame is dark cherry wood as well with a thin circular arch on the bottom so that you can see right under it. The openness of the design gives the illusion of more space. I have a light grey and white duvet conformer with white pillows. White linen curtains and a rustic framed large mirror hanging on my wall. RxPayne: You are the creator of OneYoungTraveler, your passion is traveling; how do you incorporate traveling into your minimalist lifestyle? AM: It ends up flowing so well! The less money I spend on clothes and products, the more I have saved up for travel. My bags are light and it’s easy to pack up and go. It makes back-packing trips that much easier. RxPayne: Minimalism does not seem like an easy conversion; what is the biggest challenge you face as a minimalist? AM: Ironically enough, giving things up will always be a challenge. You have to minimize in stages. I don’t think anyone is ready to give up everything they have overnight. My closet is about 1/4 of all the shoes and clothes I had when I started the process two years ago. And this was from giving things away to buying quality clothes that would last me awhile. I went from over 40 pairs of shoes to 10. I still want to be able to cut that to about 7-8. I feel so accomplished in the fact that I only rotate between 3 pairs of jeans. Dresses and pants make up for it, but it feels great not having to spend hours figuring out what to wear. You learn to get creative with what you have to make it seem like you have more outfits than you do pieces of clothing. I recently donated a white thin scarf my mom gave to me because she stopped wearing it. I had it for 4 years and wore it twice. And they were both used on the beach as a cover up. It was a challenge to let it go, but I had no purpose for it. I asked myself if I’m going to give things away that my mother gave me, what would make me feel better? So to “feel” better about what I just did, I challenged myself to call her every morning on my way to work. Now if I miss one morning, she’ll notice and leave me a message. But I realized building on that relationship means so much more than holding onto a piece of cloth that used to be hers. Be sure to check back into the blog clinic for Part Two this Script Sunday.